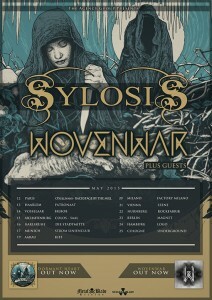 WOVENWAR to team up with SYLOSIS for European tour in May. 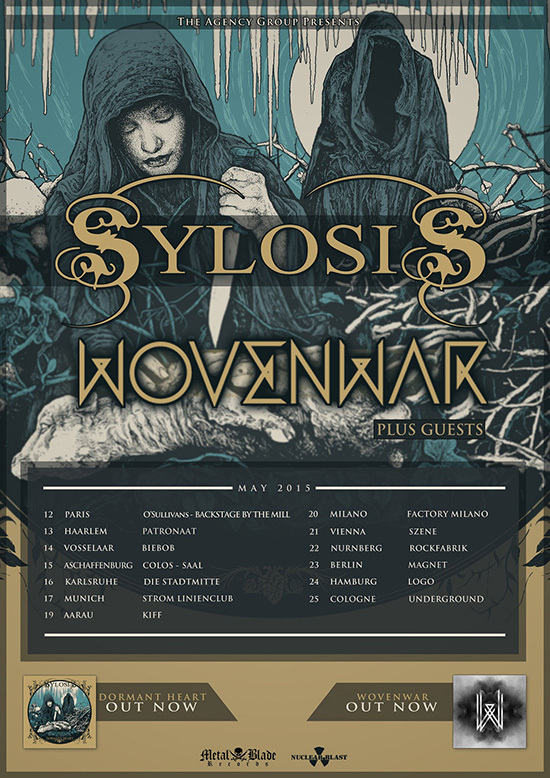 WOVENWAR are excited to return to Europe in May for a club tour as direct support to SYLOSIS! WOVENWAR will also play five headliner shows in the UK! Make sure to check out the latest video from WOVENWAR “Death to Rights”. The clip was directed by Josh Klein and Nick Hipa. Check it out now HERE. If you haven’t had a chance to check out the stunning debut offering from WOVENWAR, you are truly missing out on one of the most impactful metal albums in years. The band kicked off 2015 on a massive North American tour alongside Periphery and Nothing More to nothing but rave reviews. WOVENWAR‘s self-titled debut was released in August of 2014 and landed at #36 on the Billboard Top 200 charts. On iTunes, the album peaked at #2 on the rock charts, and #1 on the metal charts during its week of release. In Germany the album landed on position 41 in the official Media Control Charts.